Disclosure: I received a copy of this book, coloring book and CD to review through Beck Valley Books Book Tours in exchange for an honest review. All the opinions above are 100% my own. I am always looking for way to improve (aren’t we all). I am on a daily journey of learning more about myself and the life around me. I was in a slump, I didn’t want anything to do with anything remotely close to “self help”. I was throwing myself a pity party and that was that. But, someone actually mentioned they thought this would be a great pairing for me so I caved in (that is the people pleaser side of me) and I signed up for the book review and tour. And I must say, thank you to that person for nudging me because I love working through this book! Learn how to put yourself in abundance consciousness instantly and consistently, making happiness your “new normal” and co-creating the life of your dreams! 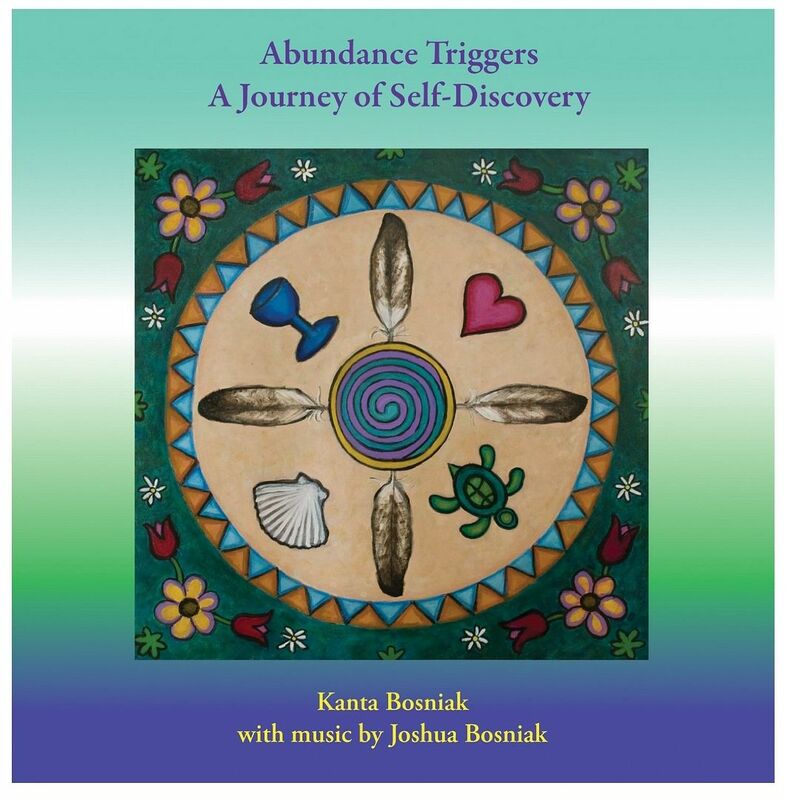 With over 40 years experience an educator in Spiritual Growth and Guided Meditation, author Kanta Bosniak has made a lifetime study of how to shift negative thoughts and the emotions they produce to those good feelings, which boost energy and attract wonderful experiences. Kanta uses them herself, and as part of her coaching and guided imagery work, she helps clients access and use their own personalized triggers. You can access your own “abundance triggers”, learn to shift your state at will, dissolve lack thinking at its roots and co-create ”miracles” on a regular basis! So I have to share… I’m not quite finished. I am taking my sweet time and working through the book little by little at a slower pace than I would normally spend on something. I have found that this book has helped me with my anxiety – it has provided me tips and techniques to use that have calmed my paranoid thoughts and anxiety. The book has great tools – visualizations, techniques, writings – that helps find your abundance triggers. For me, I found that these helped me with my anxiety. As someone who suffers from anxiety disorder and someone who was attending school to become a therapist, I would highly recommend this book and it’s exercises, tools and techniques for someone who suffers from anxiety. Some of the techniques were ones that I already use (such as tapping) to help keep me clear and focused. I love to color! During holidays, the kids and I will print out coloring sheets and spend an entire day coloring. I promise, this is definitely an abundance trigger for me. I am glad I was provided the coloring book because I wanted to color the pictures in the book, but they were all there for me in the coloring book to color, calm down, and focus. I have to be honest… I’m not sure I heard much of anything she was saying. I was kind of in a trance – which is what the CD is for – meditation and imagery. I could definitely see using this at bedtime for hubby and I to fall asleep with. I highly recommend heeding the warning of not listening to the CD while driving. It would definitely not be safe because I was 100% relaxed listening to the CD. All in all, I am enjoying the book as I concentrate on each exercise and technique. I am excited to be a little kid and color in my coloring book and I find relaxation in the CD. I highly recommend this to anyone who suffers from anxiety or needs something to help calm them and help them find their abundance triggers! As your personal collection grows, you may be interested to know that you’re in good company! Collectors of Kanta’s art include a Nobel Prize Winner, an Emmy-winning producer, a popular television actress, several authors, a U.S. National champion athlete and people of all walks of life. 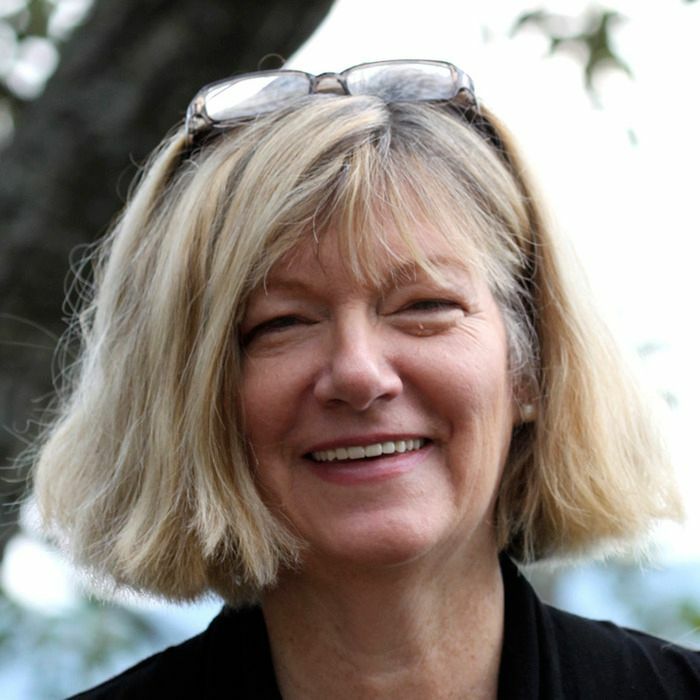 Kanta lives in Southwestern Virginia, in the foothills of the Blue Ridge Mountains, where she has a private practice of coaching and Guided Imagery. She is available for appointments both in person and by telephone and Skype. She is a frequent speaker at New Thought churches, universities and Holistic Education centers and conferences throughout the US. She is listed in Who’s Who of American Women. This Guided Imagery audible audiobook is designed to gently lead you into a state of relaxation so that you may access your personal Abundance Triggers, the inner archetypal symbols that will be most helpful for you to use as reminders to stay on track for success. Nurture your spirit with hands-on creativity that triggers your Divine abundance! 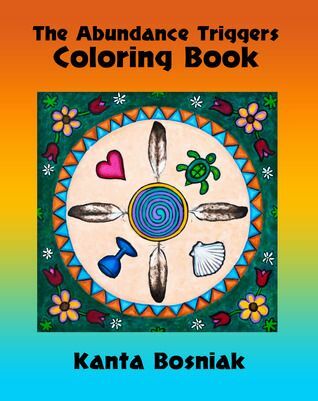 This coloring book for teens and adults includes whimsical new drawings and illustrations from mind/body/spirit books of author/artist Kanta Bosniak. 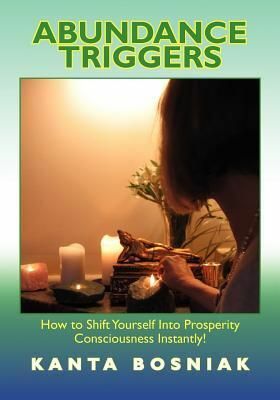 It’s a great complement to her book “Abundance Triggers,” a how-to for shifting your state to prosperity consciousness. « Meet Jessica at Madame Butterfly Creations! Aw, thanks dear! It really is helpful and just what I need!